While I fully respect the beauty and craftsmanship of fine Swiss brands such as Rolex and Omega, I must admit to having a real love of Seikos, especially the automatic divers. They are well-made, with fantastic lumes that seem to glow forever. 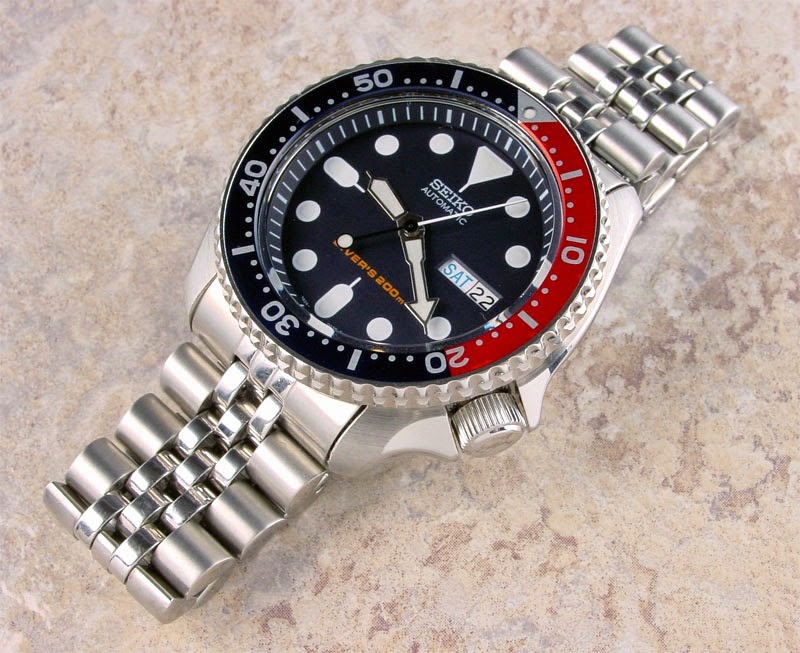 My first Seiko was a 009 Pepsi given to me by my step-father. It was also my first "real" (i.e. automatic) watch after years of quartz Casios. A few years ago I purchased a Seiko Black Monster, which has barely left my wrist since. I love this watch. 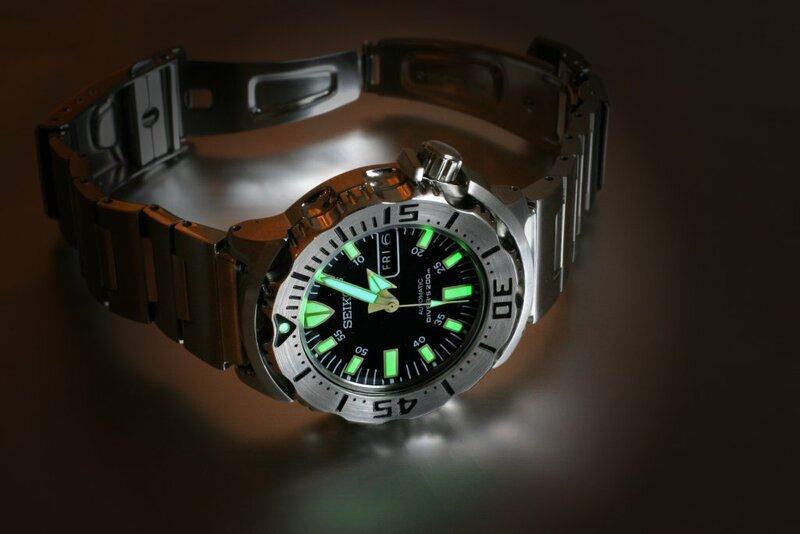 It's built like a tank, and as you can tell from the photo, the lume is superb and the face is very readable. The bezel rotates smoothly and easily, which is something I can't say for some Omega Seamasters I've handled. 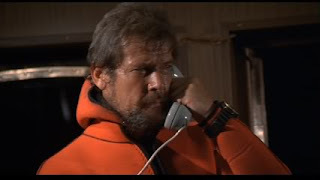 While Seiko may not have the quite the panache of some of the Swiss makes, it's good enough for me, and for Sir Roger Moore in his non-Bond guise of Rufus Excalibur ffolkes.